Every year fraudsters come up with new schemes on how to deceive taxpayers. Every year, the IRS encourages Americans to be watchful and not succumb to the provocative offers of fraudsters. In IRS scam, a calling person introduces as an IRS employee and claims that you have to pay taxes otherwise the controlling authorities will arrest you. Their phone numbers may not be displayed so you think that you are called by a representative of a government agency. In fact, IRS employees will never tell you such important information by phone. Also, they never demand payment as soon as possible, otherwise, you will be arrested. So, what schemes do fraudsters use? 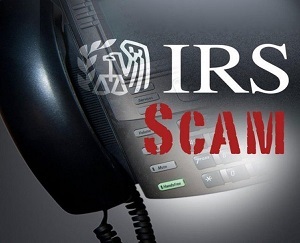 Unfortunately, the number of attempts of IRS phone scam has sharply increased. As a rule, a person who is represented by an agent of the tax administration tries to get money from a taxpayer that he or she ostensibly owes the state. Schemes of such calls can be very different. Fraudsters may threaten arrest and demand payment of a non-existent tax debt. They can promise a large refund, demanding only to confirm your personal data and transfer money to a certain account that can be made via a bank transfer. Fraudsters choose the most unprotected people as their goals: old people and immigrants. However, in order to make it harder for a victim to check a call, he or she will get IRS scam call late at night or on the weekends when the IRS offices are closed and a victim can’t call back to find out where this call came from. Usually, it doesn’t end with one call. Immediately after a call, they send letters by e-mail (also from a fake address), which contain information confirming threats or suggestions made earlier. Such fraudsters can be extremely persuasive on the phone. It is possible that they know a lot about you. They can change their phone number so that you think they are actually calling from this organization. If you don’t answer, in many cases, they leave request to call them back “urgently”. But they don’t stop there. If a taxpayer is threatened with non-payment of taxes by a prison or by a suspension of a driver’s license, shortly he/she will be contacted by accomplices of scammers, who will be represented either by local police officers or employees of the transport department. And all this is done to ensure that a victim agrees to all conditions. The tax administration warns that if a taxpayer, who allegedly has problems with tax arrears, gets a call from the IRS, he/she can check the information by the phone number from the official website. If there is no tax debt, then report about IRS scam immediately. This is a type of fraud where cybercriminals try to steal your financial information by e-mail or trying to lure you to a fake website. For the most part, such emails just install a virus on your computer, which will then transfer your personal information to the computer of fraudsters. Representatives of this government organization never contact taxpayers by e-mail to request information about person or his/her finances. Moreover, such letters are never sent on dating sites. You don’t even need to open letters sent ostensibly from the IRS, and even more – to answer them. Be sure that RomanceCompass has no scam like this. Such proposals can come by e-mail or a phone call in different variations. Fraudsters even do their job on dating sites telling that they are workers of the IRS and can help you. This is a fairly common scheme on dating services with a dubious reputation, but not on RomanceCompass dating site. However, there is one common feature in all such proposals: taxpayers are offered to receive tax credits, which they are not entitled to. It can be anything, even a loan for education. A skilled fraudster, who advised you a “winning scheme”, almost doesn’t responsible for anything and you will not be able to blame a fraudster for it. And as a result, in addition to the hassle with the IRS and money spent on the help of a taxpayer’s “adviser”, a person still faces a fine of up to $5,000. There is nothing illegal in keeping your money in bank accounts abroad. It is illegal to use these accounts to hide your income from taxes. A taxpayer is obliged to inform tax officials about all information about his/her accounts, otherwise he/she may be fined or even prosecuted. This is a type of fraud that heads the black-list of the tax department. A trustworthy taxpayer can lose his or her return, which scammers will receive, using his/her Social Security number and other personal data. Usually, the proceedings of tax with such a fictitious return may be delayed for 9-12 months. The Tax Service considers combating this type of fraud as its priority and takes steps to prevent the crime and help the victims. This is the responsibility of the special department. So, if a taxpayer has a suspicion that he/she becomes a victim of personal data theft, tax authorities advise to use the IRS Scam Reporting form. In the United States, a huge number of books are published about how people can avoid paying taxes. Also, many tips on how to avoid this unpleasant duty are sent by e-mail and given on websites and dating sites. A taxpayer is offered a scheme of avoiding taxes unknown to anyone for a small bribe. Maybe a taxpayer doesn’t know about this scheme, but the IRS knows for sure. On the site of the organization, there is even a special section devoted to such schemes not to pay taxes. There is no doubt that the higher authorities are deaf to any arguments and if it concerns taxes and the state machine will not allow anyone to avoid them. So, any argument of a taxpayer will be considered frivolous. But the consequences will be terrible. This can be a persistent refund of unpaid taxes and a large fine. And, it is quite possible that the authorities will not stop there. So, don’t try to play with them. And also use only proven dating sites to avoid such a fraud. Once again, our advice is to use RomanceCompass where there are no scams like this. Don’t call with the requirements of immediate payment, and before a call, they must send the invoice by mail. Don’t require to pay taxes not giving the possibility to discuss or challenge the amount of debt. Don’t require an unusual way of payment, for example, a prepaid debit card. Don’t ask for numbers of payment cards during a phone conversation. So, if you get in such a situation, then know that, most likely, this is IRS phone call scam. Don’t threaten to report on non-payment to the local police.